C is for? 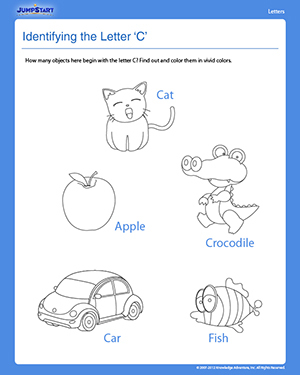 This worksheet familiarizes preschoolers with the letter C by helping them identify words beginning with it. Help your pre-kindergarten kids practice the sound of the letter C in different words by coloring the objects like cake and cat that begin with C. This will improve their vocab and boost memory.